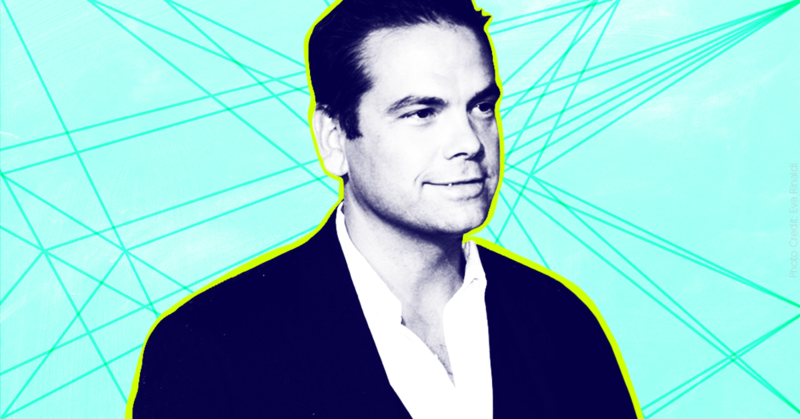 Media Matters’ 2018 Misinformer of the Year is 21st Century Fox Executive Chairman Lachlan Murdoch. Our annual designation is given to the media figure, news outlet, or organization that stands out for promoting conservative lies and smears in the U.S. media. Murdoch was selected for his role in overseeing Fox News, the right-wing network founded by his father Rupert, who previously received the title. Several of the network’s current and former commentators have previously been named Misinformer of the Year. The Murdochs’ Fox News, a uniquely destructive force in American public life that ushered in an era of post-truth politics, has been unleashed under President Donald Trump. The network now functions as a propaganda outlet for his administration, embracing any level of extremism, deceit, and bigotry necessary to promote the president’s message while scorning basic principles of journalistic ethics. Lachlan Murdoch has consistently lied about what his network does and what it is, even as the people who work for him have breached the norms of their profession in increasingly flagrant ways and become ever more entangled with the Trump administration. As standards at Fox News degrade and some of its most prominent employees venture further into the fever swamps, Murdoch and his fellow executives use those network staffers who do respect normal journalistic conventions as a fig leaf to defuse concerns about the network’s most destructive and unethical programming — even as those staffers publicly and privately sound the alarm. But Murdoch’s defenses are increasingly falling on deaf ears. By Fox’s own admission, a flood of blue-chip advertisers have fled the network’s airwaves this year, wary of associating their brands with its vile programming and volatile on-air talent. Their ranks will only grow unless the network actually changes course. But Lachlan Murdoch’s network is on a different path. Fox has long served as the communications arm of the Republican Party. But over the last few years, it’s become difficult to tell where Fox ends and the Trump administration begins. The network is not only the president’s propaganda machine but also inextricably entwined with his decision-making and operations. 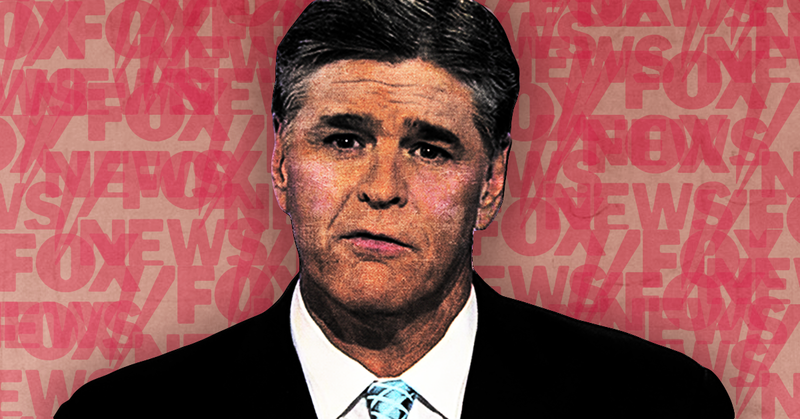 Sean Hannity is the embodiment of his network’s dual role. He hosts an industry-leading prime-time Fox show — a heady mix of paeans to Trump’s glorious achievements and dire warnings about a vast, shadowy anti-Trump conspiracy — while simultaneously serving as one of the president’s closest informal advisers and even joining the president on stage at a rally the night before the midterm elections. Other network hosts play a similar double game, stopping by the Oval Office or phoning into the West Wing by day, then serving as presidential propagandists on Fox by night. Meanwhile, Trump has stocked his administration with familiar faces he’s seen on TV. Fox alums currently serve in senior White House roles, lead cabinet agencies and represent the U.S. as ambassadors. And that door opens both ways: White House communications director Hope Hicks was replaced by former Fox News co-president Bill Shine (who is still drawing millions in severance from the network), then Murdoch picked her to run public relations for the network’s parent company. Trump also regularly soaks up the network’s programming and tweets about it, sometimes for hours a day, creating a durable feedback loop in which commentators use Fox appearances to try to influence his decisions on political strategy, policy, legal tactics, pardons, and personnel. This phenomenon is most apparent — and perhaps most dangerous — as Fox personalities encourage the president to follow through on an authoritarian solution to the Russia probe. When the network’s most prominent hosts aren’t generating fawning coverage of Trump’s performance or pushing conspiracy theories targeting his foes, they are channeling white nationalist talking points to inflame the president’s base. Network founder Roger Ailes had a longtime strategy of generating a fervent, almost entirely white audience by relentlessly stoking racial tensions. And Fox is building on that approach, blasting out to an audience of millions its hosts’ paranoid fears about the cultural displacement of white Americans and the ongoing threat to the national culture purportedly posed by immigration and diversity. Laura Ingraham’s program is a racist cesspool. Her ugly rants minimizing child detention centers and condemning the “massive demographic changes” caused by immigration made headlines and devastated the program’s advertiser base. This pattern of deliberately arousing fear about immigration reached a new peak with Fox’s obsessive coverage of a caravan of Central American migrants that approached the U.S.-Mexico border in the weeks before the midterm elections. The network whipped up hysteria by branding the would-be asylum seekers “invaders” and promoting conspiracy theories that the group had been infiltrated by terrorists and was supported by the Jewish philanthropist George Soros. 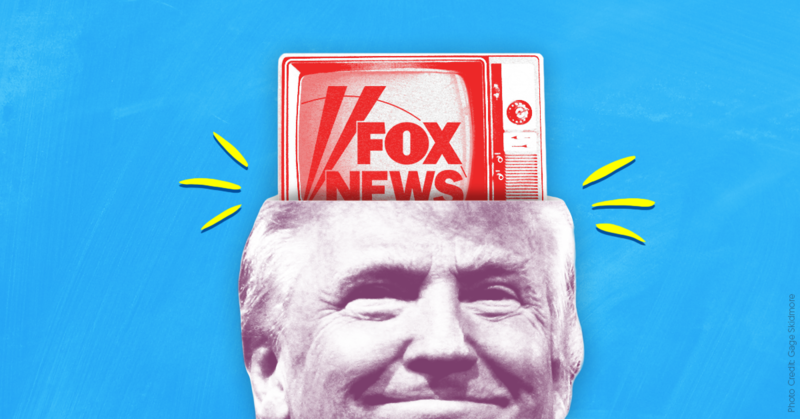 Thanks to the Trump-Fox feedback loop, its coverage echoed through the rest of the media. Fox executives were never terribly concerned with the basic strictures of journalistic ethics. But the last year has made clear that the network has no standards whatsoever, especially for the big stars with ties to Trump. And the gap between Murdoch’s stated purpose and how he actually oversees and disciplines the commentators under his purview is particularly glaring here. Hannity has crossed lines twice this year that would lead to termination at any real news outlet — first when he failed to disclose, while reporting on a federal raid of Trump lawyer Michael Cohen’s home and office, that he had been a client of Cohen’s, and second when he campaigned on stage with Trump at a rally after saying that he was just there for an interview. Notably, while Fox subsequently clucked its disapproval, in neither case did the network apologize, announce penalties for Hannity, or promise that it wouldn’t happen again. This flagrant disregard for minimal ethical standards has trickled down through the Fox lineup. It isn’t normal for journalists to let the president use their interviews as kick-offs for his rallies or advise him in the White House or call in to his staff’s meetings or golf with him or operate lucrative side gigs as paid speakers for party fundraising events or give a cabinet member’s staff script approval for an interview. But these are things that have happened — and will continue to happen — at Fox, because Lachlan Murdoch and his team appear not to care about this behavior or to be too afraid of their biggest stars and their audience to stop it. Fox News CEO Suzanne Scott’s reported effort to crack “down on inflammatory statements” has been ineffective as anything other than savvy public relations. There are no serious consequences for the network’s stars as long as the access and money keep rolling in. Given Fox News’ ugly history, it might be easy to write off the network’s current incarnation as the pernicious legacy of its previous leadership. That would be a mistake. 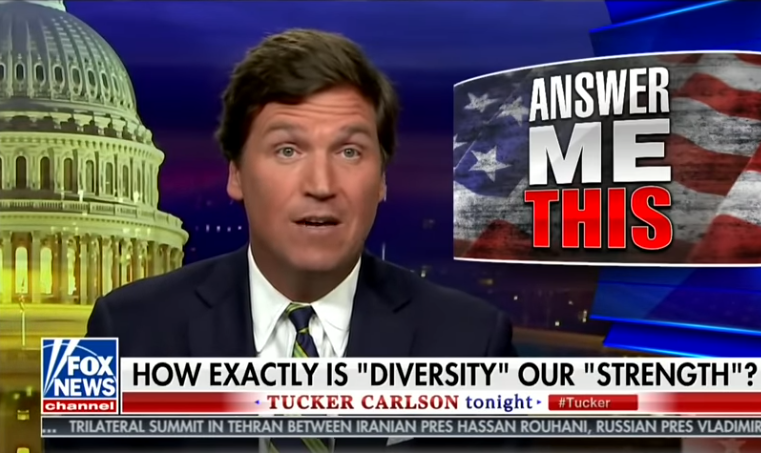 Fox News’ transformation into an unchained pro-Trump propaganda outlet that promotes white nationalism came as Lachlan Murdoch’s control over the network steadily increased. Long seen as the heir to his father’s media empire, Lachlan Murdoch struck out on his own in 2005 after feuding with Fox News co-founder Roger Ailes. But he returned to Rupert’s side as chairman of Fox’s parent company, 21st Century Fox, nine years later and was promoted to executive co-chairman in 2015. Lachlan was reportedly instrumental in removing Ailes after news of his long history of sexual harassment broke in 2016, a move that eliminated an alternate center of power in the company’s hierarchy. And after the company moved to sell the bulk of its entertainment holdings, in May he was named chairman and chief executive of Fox, the company that will hold the family’s remaining television assets. After removing Ailes and cementing his role as his father’s successor, Lachlan Murdoch is ultimately accountable for Fox’s programming. If he wanted the network to operate as a responsible media outlet, he could make that happen. Instead, he suggests that any attempt to rein in his network’s stars would constitute unacceptable censorship of their opinions. Whether the media scion, who is reportedly seen as more conservative than his father, is encouraging the network to shift in its direction or simply standing idly by as it moves, he is happy to profit from the forces he continues to unleash. Lachlan Murdoch is gaslighting America about the damage Fox News is doing to the country. For these reasons, he is the Misinformer of the Year.